Like i said earlier on, this year is really going to be different. 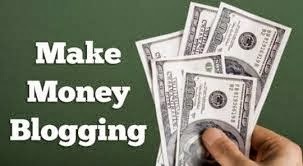 I am making lots of research on how you can earn more money online and perform a lot of technology tricks. I was a little bit skeptical when i wanted to link my adsense for content account to my adsense for video account on Youtube. I initially wanted to try this out late last year, but i was kind of afraid my adsense for video was going to be rejected by Youtube. This kind of distorted my mood until finally, i have been able to strike off that fear to face the terror. This year i have noticed that one can actually be a top earner from just making interesting tutorials in the video format. It all depends on the zeal you have and how you plan achieving that in the nearest future. Before now, i had already applied for the adsense for video on Youtube , though my appeal was kind of not accepted due to the fact that my first Youtube video had'nt gotten up to 300 views and above so i decided to put all efforts to a halt and depended solely on only adsense for content. This was a pretty bad idea because i really wanted to diversify different making money online sources beside just blogging. Five months ago, i created my first video and published on Youtube; all in the name of catching some fun. It was actually not a tutorial but a kind of political video which was uploaded for the sake of fun. I was kinda shocked when i checked the video after two days and saw up to 2500 views and still counting.I never thought of monetizing my video since i was still comfortable with my current earnings from my adsense for content. The wind blew and some sh*t happened on my site, which led to the crashing about 6 months ago, this was when i realized that mono-income was actually a bad idea for someone who wants to make some box online. I really did not do any big deal. The only thing i did was to create a video, allowed it to get more views naturally and requested approval from google to start implementing my ads on the adsense for video. It was fabulous. Though it is very difficult uploading videos especially with the slow network service providers in Nigeria, i still feel so happy that there is a step. You need no advance knowledge to monetize your video on youtube. Simply click on the monetize button to turn it green and continue your setup. While setting, remember to make use of your tags effieciently. This has a way of driving massive traffic to your blog via search engines. More views on your blog could mean more money to be earned from the google adsense for video. Remember that you can actually make money on Fiverr. You don't need a blog. You just need to use your head wisely. Will be letting you know how to create an interesting video on youtube later on. Do you love what i do? then share this knowledge to the rest of you friends on the social media. Most of the people are still wondering get their adsense approved. But this point is we must get good quality traffic from search results. Sure and great content too.